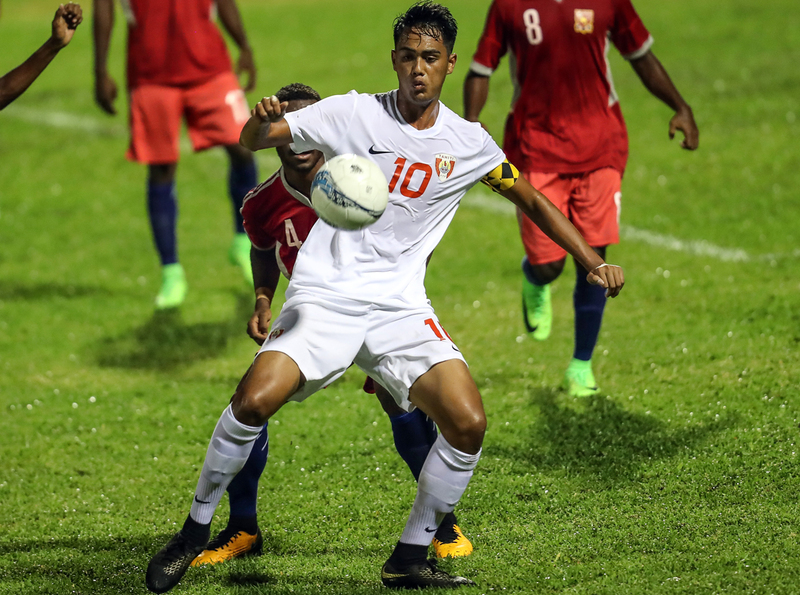 Hosts Tahiti will look to confirm their place in the semi-finals of the OFC U-19 Championship tomorrow when they play their final Group A encounter against a fading Tonga side at Stade Fautaua. New Zealand, with their place in the knockout stage assured, will be looking to make it a clean sweep with a third straight victory when they take on a heavily depleted Papua New Guinea side. The playing field at Stade Pater took a major hit after two consecutive days of matches combined with consistent heavy rain, so Group A will now get their first hit-out at Stade Fautaua with the earlier kick-off times of midday and 3pm. New Zealand will get Saturday’s action underway against Papua New Guinea in what is expected to be another one-sided affair in the Kiwis favour. After knocking 14 goals past Tonga with three players registering hat-tricks, Des Buckingham’s charges will take a major confidence boost into their final encounter. They’ve experienced two opposing team approaches in their first two games, and with passage to the semi-final confirmed, Papua New Guinea provides a chance for New Zealand to continue working on becoming a strong unit. “It’s only our second game together as a group, we’ve only had ten sessions together so we’ll use it as a building block. After seeing Papua New Guinea’s opening match, Buckingham said the qualities of the team were apparent. “We saw them against Tonga and we know if you give them a bit of space and time they’ve got good players who will play around you,” he said. However Papua New Guinea will be a different side to the one New Zealand’s coach saw in the opening match after a forgettable performance against Tahiti leaves Harrison Kamake’s squad seriously depleted for their last group game. Papua New Guinea struggled against the speed and power of the Tahitians on Wednesday night and when it all kicked off in the second half, they found themselves five goals down with just eight players left on the field. With a win and a loss Papua New Guinea still have an outside chance of qualifying from Group A should the results of the final match day go in their favour, including if they are able to put up a strong performance against New Zealand. However that will be tough with Kamake left with just two players warming his bench for Saturday. “With the feeling now it will be a bit difficult because of the emotions from our last game,” Kamake said. Based on the standings and the schedule for the final round of Group A games, Tahiti are looking good to progress to the semi-finals as runners-up. With their final opponent Tonga having struggled to make the step up to this level of regional competition, Tahiti are likely to find relatively easy passage past them. However there will be no resting on their laurels with coach Bruno Tehaamoana cognisant that the side must maintain their concentration. “With all respect for Tonga, we’ll play seriously like we did tonight. We’ll prepare well for it, like we have all the others so far.